Noting that the Indian-Americans were facing a lot of "trouble", the 32-year-old Sunayana Dumala urged them to "raise their voice and share their stories." 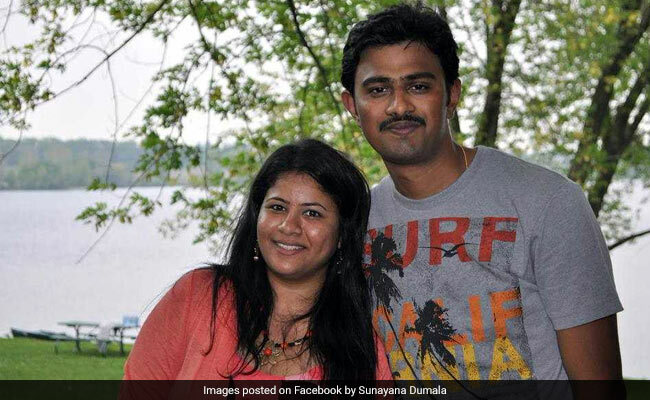 Washington: The US immigration system must be quicker and equal for all and the government should remove the per-country cap in issuing Green Cards, Sunayana Dumala, wife of Indian engineer Srinivas Kuchibhotla who was shot dead in a hate crime shooting, has said. Noting that the Indian-Americans were facing a lot of "trouble", the 32-year-old Sunayana urged them to "raise their voice and share their stories." "I'm hoping that when the decisions have to be made, they will remember my story and why they act accordingly," she said referring to the meetings she had with US lawmakers at the Capitol last week when she attended the State of the Union Address (SOTU) of US President Donald Trump. She had been invited as a guest by Congressman Kevin Yoder to the President's address, hailing her as his "hero". "Everyone here knows her story. Everyone here knows her personal triumph and her courage to persevere in the face of evil. It is because of courageous people like Sunayana that makes this country so great, so strong. 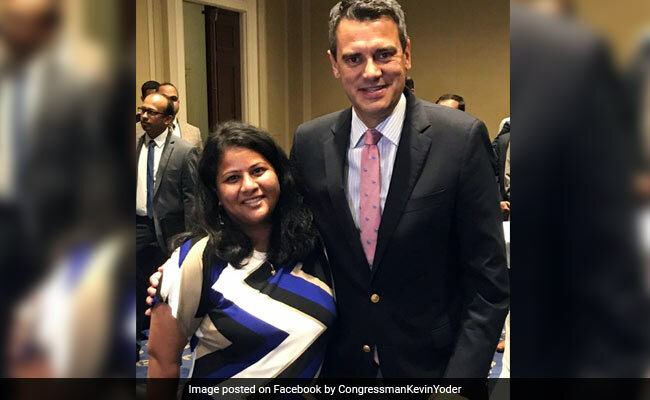 She is my hero," Mr Yoder told highly-skilled Indians who had gathered at the US Capitol for a Congressional reception seeking a fair and non-discriminatory immigration system. During her visit to the Capitol, Sunayana met with a number of US lawmakers, including Speaker of the US House of Representatives Paul Ryan and Congressman Patrick McKendry. "You have to come up with a much better, much quicker solution. That would be possible when you get rid of the country caps; when you make it fair based system and much quicker for everyone not just one particular country or one particular place," she told PTI. "You have to make it equal for everybody and quicker for everybody so that one is getting green card in one to two years and not having to wait for 10-15 years," she said, adding that the current immigration system is not equal at all. Sunayana asserted that the major issue for the Indian-Americans was the per-country limit in the annual approval of the Green Card. "The biggest issue is people don't know that there are people from countries like India and China who are facing their trouble. That's why there is a need for people to come out to raise their voice and share their stories," she said. "It's on us, so that people listen to us and look for us," she added. Sunayana said she was the only Indian and skilled immigrant invited as a guest to the SOTU address. "It's a great opportunity for sure. That is why, I did not want to miss it because that was my one dream opportunity and it's a national spotlight to bring the message out," she said. Sunayana said President Trump's assurance to fix the broken immigration system came out as a positive thing for her during her first SOTU. She said she was doing dual advocacy for hate crimes and for fixing the broken immigration system. Sunayana attended a day-long workshop of skilled Indian professionals, who had gathered from across the country to create awareness at the Hill, after attending Donald Trump's address. Some 250 highly-skilled Indian professionals from almost all the American States had gathered in Washington DC for the Green Card workshop. Organised by Immigration Voice, top immigration experts, academicians and attorneys held a day-long workshop to brief them on the various aspects of Green card backlog. Sunayana's husband Srinivas was shot dead while his colleague, also an Indian, sustained bullet injuries after an American navy veteran opened fire in a crowded suburban bar in Olathe city in February last year. The shooter thought they were from the Middle East and was heard telling them to "get out of my country" at the time of the shooting.